A lot of buyers question why real estate agents ask them for a loan preapproval letter before placing on offer for them or better yet, before agreeing to even show them properties. We promise – this is actually a very smart move on your agent’s part and it is truly for YOUR benefit as the buyer (it even benefits sellers)! Here is the low down on why. You want to be preapproved before going out and viewing properties so that you know what type of properties you can purchase and what price range you can afford. Different types of loans are specifically for certain types of properties. Sometimes buyers can’t qualify for multiple loan types due to differences in credit score, % down requirements, PMI (private mortgage insurance) requirements, etc. For example, conventional loans can be used for condominiums – but FHA, USDA and VA loans generally can not be. You also may be way off in the price range you think you can afford versus the one you can actually get approved for. You can not just base your estimated price range on income alone – it also has a lot to do with your debt to income ratio (how much you make vs the debts you have such as car payments, insurance, credit card bills, etc), and several other factors. If you get preapproved at the beginning, you will not waste your time viewing (and falling in love with) lots of properties you are not able to buy. Your agent can use your preapproval letter to properly determine what types of properties to show you in the proper price range to suit your needs! Preapproval Letters Help You Win Offers And Make It To Closing! It is also important for you to be preapproved before making any offers on properties because sellers generally will not accept (and in some cases not even view) an offer if a preapproval letter does not accompany it. You could fall in love with a home but while you are scrambling to get preapproved, another preapproved buyer swoops in with an offer and the property is gone before you can make yours. Every agent has seen it happen, especially in this hot seller’s market where multiple offers are common. 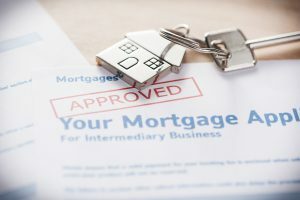 A strong preapproval letter (from a good lender that truly does their background work for your preapproval) will significantly increase your chances of having your offer accepted, especially in a multiple offer situation! A good lender will also do their homework and not just “prequalify” you, they will “preapprove” you. The difference is that they won’t just ask you a few verbal questions – they will actually run your credit score through multiple services to verify, request documentation from you to verify income, assets, debt, etc. Unfortunately, if a lender does not do this you run the risk of being told later on that you did not truly qualify and you may have to cancel your offer or contract. If you ask your REALTOR® for a lender recommendation, chances are they are going to recommend their most trusted lender that is going to get the job done. Having a good lender is just as important as having a good REALTOR®, they will be with you from start to finish and can help work out any bumps in the road before they even happen. Getting preapproved is completely free too with no obligation to go through with any property purchase – so there is truly no reason not to do it!